When I’m craving comfort food, I instantly think of meatballs. Call me crazy, but tender. juicy meatballs drowned in sauce and cheese just rocks my socks. 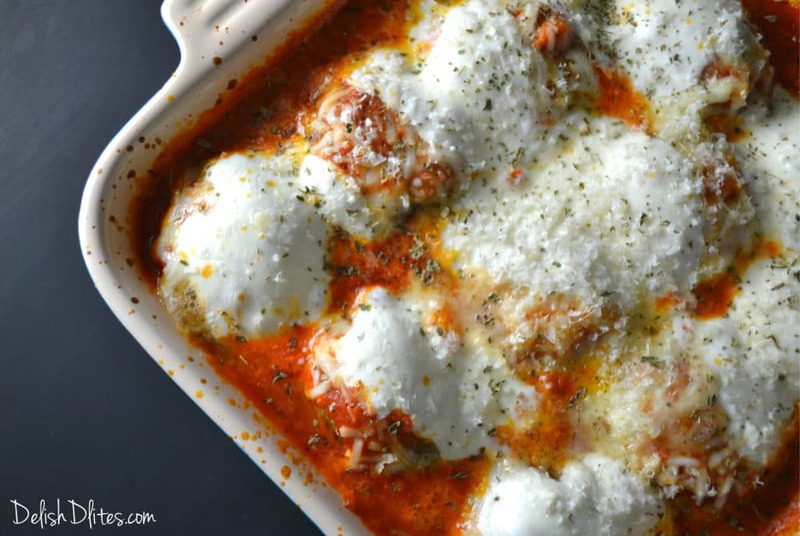 This meatball recipe is super versatile, and ridiculously dreamy – just look at that cheese! 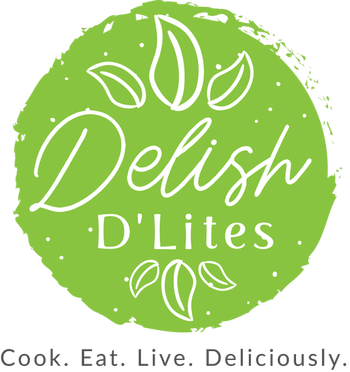 I usually prefer 85/15 ground turkey for my meatballs, but you can also make these with ground beef or pork with equally delicious results. 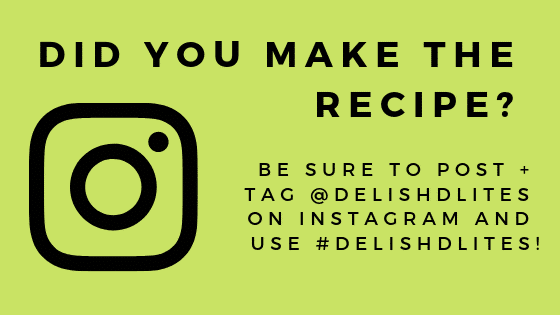 In fact, I encourage you to get creative and mix up the meat and herbiage options for DELISH results. 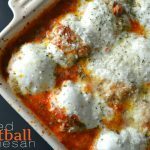 Meatball parmesan is the type of food that brings people together. I’m convinced that world peace could be achieved over a plate of these. 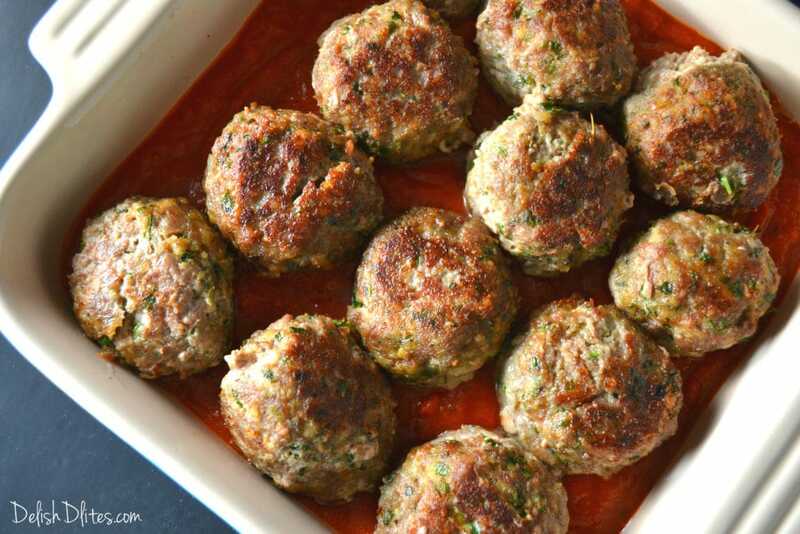 Served them over pasta, or with a salad and some crusty garlic bread, it’s impossible not be a happy person with a plateful of cheesy meatballs. Heat 1 tbsp of olive oil in pan on medium heat heat and add the onions. The onions should be very soft and aromatic but have no color. In a large bowl combine the ground turkey, egg, Parmigiano, onion/garlic mixture, parsley, bread crumbs, milk, salt and pepper. Use a fork or your hands to combine the mixture, it will be moist. Test the seasoning of the mix by making a mini hamburger size patty and cooking it. The mixture should taste really good! If it doesn't, it is probably missing salt. Heat a pan to medium heat and add the remaining 2 tablespoons of olive oil. Brown the meatballs on both sides, then set aside. 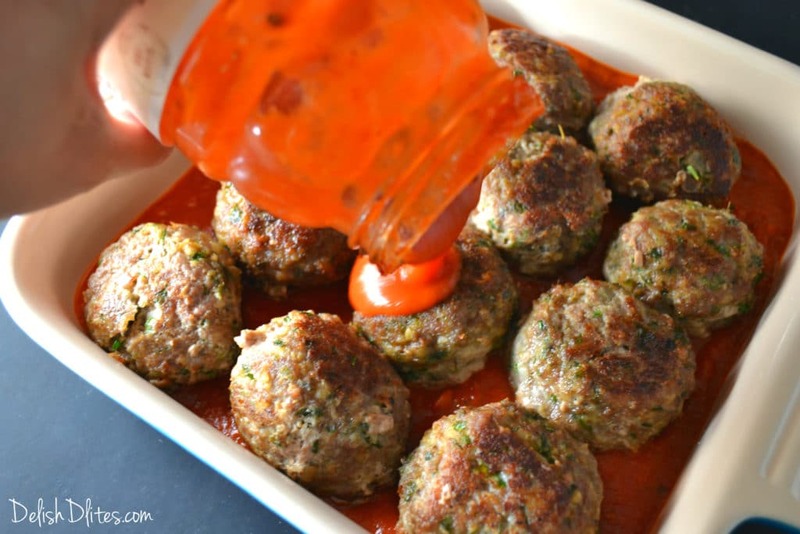 Coat the bottom of a 8x8 baking dish with marinara sauce, the lay the meatballs on top. Cover them with the rest of the sauce. Top the meatballs with both types of mozzarella cheese. 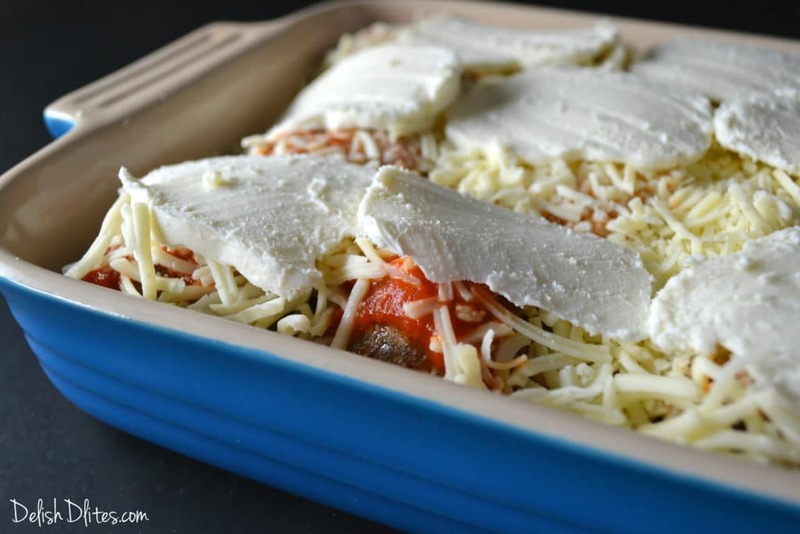 Cover the dish with foil and bake at 400F for 20-25 minutes, or until the cheese is bubbly and melted. Go make the world a better place with these cheesy meatball sliders. You can thank me later. You don’t say what temperature but I think that since meatballs aren’t cooked through, only browned that 400 for 25-30 seems ok to me. I’m making now so I’ll see. Can always lower or leave in longer. Thanks for letting me know Beth, I’ve made the update and yes, 400F is exactly what I’d recommend. Thanks and enjoy!